At the end of the 19th century, Bérenger Saunière, the poor parish priest of Rennes-le-Château, all of a sudden started spending a lot more money then he could ever have earned performing his normal duties. He had been assigned to this tiny village in the south of France at the age of 33 and had spent his first few years there in piety and poverty. According to his meticulously kept accounting books, in February 1892 he had a debt of 105 francs and 80,65 francs in his ‘fonds secrets’ (savings). That all changed in the 1890s. From that time on his surviving papers and accounts record a total expenditure of some 660,000 francs, equivalent to EUR 2,500,000 today. He would spend up to 50,000 francs in one month in some periods. His salary as a priest was 900 francs per annum. Towards the end of his life he seems to have had some difficulty paying his bills but weeks before his death he appears to have been making plans once again. Saunière’s financial difficulties coincide largely with the World War I, an indication he couldn’t reach his funds abroad? It’s often said Saunière got his fortune by committing simony or mass trafficking: requesting money for masses he never said. There’s clear evidence that he was guilty of this practice like so many of his colleagues at the time. However, the amounts of money he spent are in no relation to his illegal income from this practice. Detailed analysis of his records has taught he received 110,000 requests to say mass, which is a lot more than he ever could have said when you think a priest could say 3 masses in one day (and didn’t hold sermons every day of course). The going rate for a mass was 1 franc around 1880, increasing up to 1.5 francs at the time of his death. From this he could have earned no more than some 150,000 francs which only accounts for less than a quarter of his recorded spenditure (and which was only part of what he really spent). Saunière’s income is further dissected in this article. It is probable that Bérenger Saunière made one or more discoveries during his life that brought him fortune in one way or another. Moreover he did some pretty strange things during his long ministry in Rennes-le-Château, always assisted by his faithful housekeeper Marie Dénarnaud who was 16 years his younger. Many times they were seen digging in the cemetery at night together to such extent that the municipal council filed an official complaint for deplacing graves and disturbing the dead. 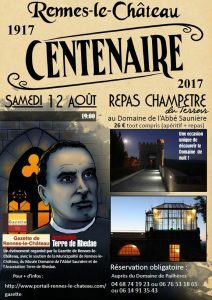 From 1910 onwards, Saunière was under investigation by the Diocese of Carcasonne for excessive spending and failing to produce evidence of the source of his fortune. In his defense he claimed the money had been given to him as gifts. He also stated he had only spent 193,000 francs. When he kept refusing to share his account books with the bishop he was sentenced for trafficking masses and forbidden to perform his sacerdotal duties any longer. 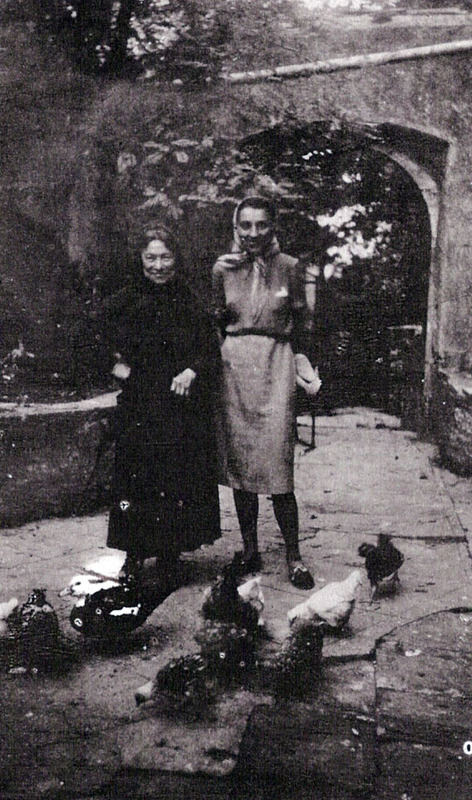 Marie Dénarnaud, lived on for another 36 years after her master’s death. She promised Noel Corbu, to whom she sold the estate in 1946, to tell him a secret on her deathbed that would make him both powerful and rich. To Corbu’s intense frustration, Dénarnaud had a fit some weeks before she died, leaving her unable to speak or write. She took the secret to her grave. Contemporaries remembered her saying the people of Rennes-le-Château walk on gold, without knowing it and that what was left was enough to feed the whole village for a hundred years and there’s still be left. To Corbu’s inquiries why she had never tapped from whatever the source was herself she replied that she would never touch it. 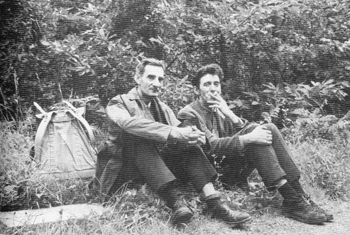 Noel Corbu is probably responsible for what the mystery is today. In need of something to attract visitors to his Hotel du Tour (the refurbished Villa Bethania) he started telling a treasure story to his customers. This after he had failed to find any treasure on the domain himself. The story worked like a magnet. In fact he got so busy telling the story that he recorded it on tape for his customers. 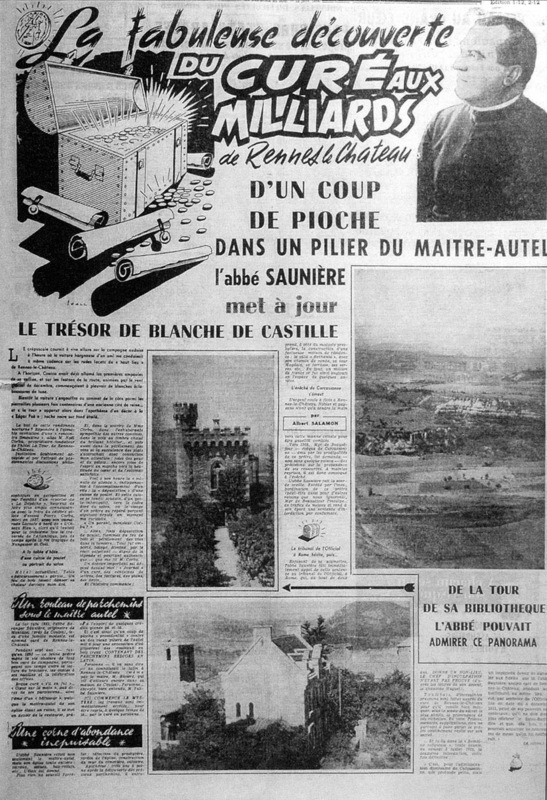 He enhanced the story somewhat in his enthusiasm and attracted the attention of local newspaper Le Depeche du Midi resulting in three full page articles in January 1956 about this Abbé Saunière, the billionaire priest who had found the Treasure of Blanche of Castille. In reality, there is no shred of evidence that queen Blanche indeed left a treasure in the area that Saunière could have discovered. Some 10 years later, the story was published in book form by French journalist Gérard de Sède: Accursed Treasure of Rennes-le-Château. De Sède’s book marked the start of a misinformation campaign by French adventurer Pierre Plantard and his friend the Belgian Marquis and actor Phillippe de Chérisey. 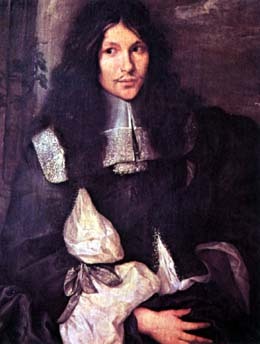 Allegedly, De Sède published a manuscript by Plantard that he edited. In the next couple of years Plantard and De Chérisey used original Saunière material and home made forged documents to construct a story around the mystery of Abbé Saunière by which they meant to “prove” that Plantard was actually a descendent of the Merovingian bloodline and thus a rightful heir to the French throne. To this end they deposited a series of forged documents in the French National Library: Les Dossiers Secrets. The misfinformation campaign got completely out of hand when BBC scenario writer Henry Lincoln got the scent of a good treasure story and with the help of Michael Baigent and Richard Leigh, drew some conclusions that were a million miles away from what Plantard and the Chérisey had intended: not only was Plantard of Merovingian blood; according to Holy Blood and the Holy Grail, the Merovingians were direct descendents of the offspring of Jesus Christ and Mary Magdalene. Today it is almost impossible to distinguish the truth from fantasy. However, most of the leading theories are losely based on facts and legends of the area that can be traced or demonstrated. The half truth is the most difficult to dissect. He and I discussed certain things, which I shall with ease be able to explan to you in detail – things that will give you, through Monsieur Poussin, advantages which even kings would have great pains to draw from him, and which, according to him, it is possible that nobody else will ever be able to rediscover in the centuries to come. And, what is more, these are things so difficult to discover that nothing now on this earth can prove of better fortune nor be their equal. In September 1661, Jean Loret, who ran a magazine called ‘La Muze Historique’, wrote of a treasure found in the diocese of Alet(-les-Bains), roughly in the same area. Loret worked for the Fouquets and the Duchess of Longueville who maintained an extensive mail relation with Pavillon. The spiderweb stretches wider still. In 1666, Colbert, who had succeeded Nicolas Fouquet as French minister of Finance, founded the ‘Compagnie Royale des Mines et Fonderies du Languedoc’ with the intend to start mining on Blaise d’Hautpoul’s land (much the same like Bertrand de Blanchefort allegedly asked the Knights Templar to start mining the same lands near the Château de Blanchefort in 1130). In return Blaise was formally granted a status ‘de ne dépendre que du roi’: It made him answerable to the King alone. You can read more about this in Franck Daffos’ (French) book le Secret Dérobé or on the website he runs with valued colleague researcher Jean-Pierre Garcia: Rennes-le-Château Archive. There must have been something interesting enough in this region to attract the attention of so many rich and powerful people. The link with Poussin comes full circle with Louis XIV acquiring his famous painting the Shepherds of Arcadia in 1685 from C.A. Herault, a well known arts dealer at the time. The painting adorned the king’s private chambers until his death. According to Antoine Captier, the grandson of Saunière’s bellringer of the same name, a glass vial was found by his grandfather inside a wooden baluster in the 1880s. 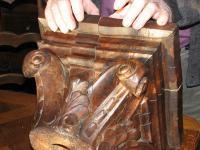 This wooden support pillar that carried the old pulpit, had been taken down during the work to restore the church. When Captier did his round through the church one evening, he noticed part of the baluster had come loose, revealing a small hidden compartment. Inside he found a small glass tube with a document inside. He gave it to Saunière, who started his digging activities in the graveyard soon afterwards. 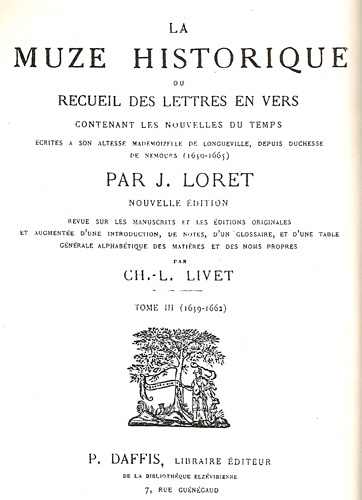 Several local sources have confirmed this story as documented in Captier’s book and the book of Pierre Jarnac. Captier and Jarnac are generally regarded as among the most serious of researchers. What’s more they are closest to the original sources. The story that Saunière found documents in the hollow visigothic altar pillar is most probably not true. Research reveals that there was no hollow space inside that pillar so it seems unlikely that is true. A last story is that Saunière found a pot filled with golden coins and a golden chalice during the renovations. This too apparently happened during the renovation work on the church altar. Saunière immediately sent the workmen off for the rest of the day. When he was asked what it was they found he replied that it was nothing but a collection of worthless religious medals. The Abbé did give a golden chalice from the time of Bigou to his friend Eugène Grassaud. The chalice still exists. It was donated to the church of Rennes-le-Château by the Order of the Knights of Malta around 1750. As it appears his predeccessor Antoine Bigou stashed it away in the church before he fled to Spain to escape the French Revolution. From these stories it seems likely that Saunière did indeed find some coins, a chalice and one or more documents. 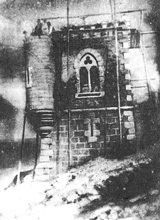 The documents either led him to a secret entrance to the old crypt of the Eglise Madeleine (for example via a fake grave of Marie de Nègre) or to another location where he found something that brought him fortune. 4. 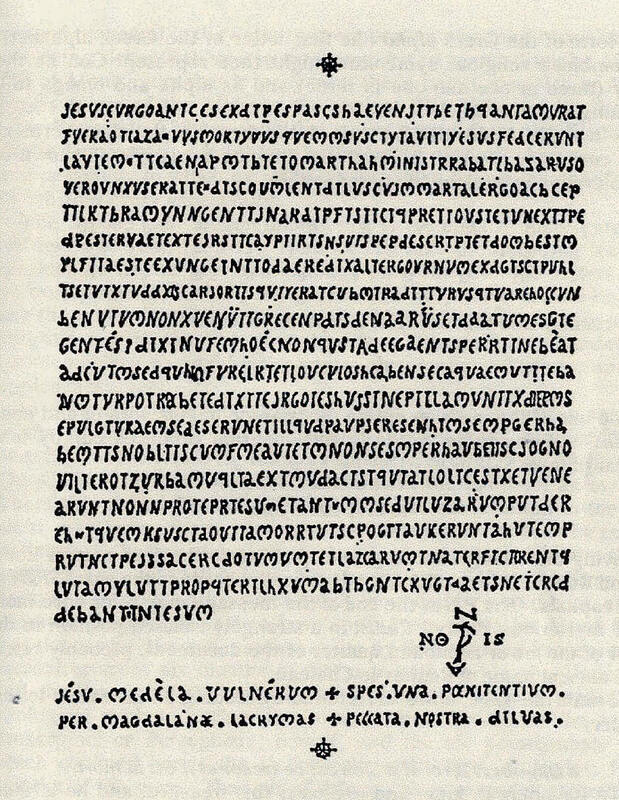 A double sided parchment produced by his predecessor Abbé Antoine Bigou containing on one side a piece of Latin text from the new testaments, compiled from Luke, Matthew and Mark. 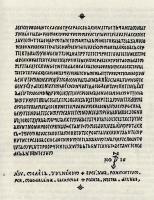 On the other side it contains the story of Jesus visiting Lazarus in Bethania from the Gospel of John in Latin. The double sided parchment (item 4) contains a number of messages, some of which are easy and other which are extremely hard to decode. In combination with the tombstone of Marie de Nègre d’Ables, (who was buried by Antoine Bigou who also made her tombstone), are said to lead to a treasure. It appears like Abbé Saunière, alone or with the help from experts in Paris, cracked the code and followed the treasure map that resulted. The double-sided parchment was first published in two separate sides (the so called grand and small parchments) by Gérard de Sède in the Accursed Treasure of Rennes-le-Château. In his book Rennes-le-Château, le puzzle reconstitué (2007), Jarnac and French researcher Franck Daffos build a plausible case that the last mentioned parchments actually existed and where sold off by Noel Corbu. What kind of Treasure could there have been? evidence that the Ark of the Covenant or at least its contents survived the ages and is hidden or was hidden below the church of Rennes-le-Château in the old crypt of the Hautpoul-Blancheforts. It was taken there from Notre Dame de Marceille between 1893 and 1902 by its keepers Saunière, Boudet, Gélis and Billard. This hypothesis is a lot less far-fetched than it sounds when you have read the meticulously constructed and carefully researched book ‘The Holy Grail and the Ark of the Covenant‘ by acclaimed Dutch writer Klaas van Urk, in which his brother and he documented their ten-year chase of the Ark’s trail through history. Sadly his book is only available in Dutch for the moment. two genealogies from 1244 and 1644 that were bought by the the Vatican after which they kept giving him large amounts of money to continue his search though their aid Henri Boudet. The Vatican hoped Saunière would find the Ark of the Covenant that had been lost for over 600 years. the Arma Christi (the instruments used during the Passion of Christ) were kept in Notre Dame de Marceille and Rennes-le-Château by a group of Fransciscan Ebionites.